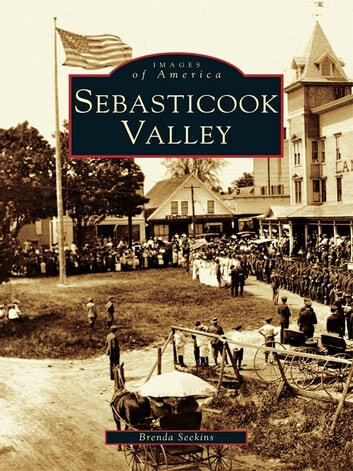 Sebasticook Valley, located between the east and west branches of the Sebasticook River in central Maine, consists of several communities. This book showcases the six towns at the valley's center: Hartland, St. Albans, Newport, Pittsfield, Palmyra, and Detroit. The communities share many ties, including the river itself; farming, manufacturing, and families; multiple railroad lines; lakes and ponds that attract summer visitors and sportsmen for hunting and fishing; and religious and military encampments and reunions. Located at the "crossroads of Maine," the valley is familiar to travelers through central Maine or to the northern counties and Canada. The rise and fall of the Sebasticook River over a century has influenced the region's history and landscape, fortifying the Yankee independence and spirit of area residents.